In a bid to ensure improved transparency, accountability and citizen engagement in governance process, the members of the House of Representatives and National Assembly have underscored the need to join the Open Government Partnership (OGP) — a global movement. They underscored the need that Nepal became a part of the multilateral initiative by consolidating the existing best practices in operation of government and parliament in terms of openness. 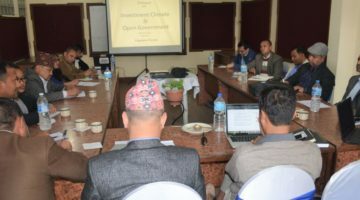 During a collaborative dialogue on ‘Open Government and Open Parliament’ organized by Freedom Forum with the support of Parliament Support Programme of UNDP in Kathmandu on December 13, the speakers asserted that Nepal’s participation in the OGP would widen her global presence in the international arena. They argued that Nepal needs to become the member of the OGP in order to augment international partnership for the promotion of good governance, present best practices on open, transparent, accountable and participatory governance practices, bridge citizen state gaps and demonstrate higher commitment for effective governance. On the occasion, House of Representative Committee on Public Accounts, Bharat Kumar Shah highlighted the need to devise mechanisms for enhancing civic monitoring and participation in government and parliamentary affairs by improving existing openness practices in parliament. Likewise, HoR Finance Committee President Krishna Prasad Dahal said Nepal should avail of the opportunity offered by OGP for showcasing its best practices on governance at international forums. President of Delegated Management and Government Monitoring Committee Ram Narayan Bidari stressed the need for reforms in presenting bills in the parliament. “It is the member of parliament not the government which should introduce legislation in the parliament”. Similarly, President of Good Governance and Sustainable Development Tara Devi Bhatta underlined the urgency of bringing the knowledge of openness to sub-national levels for leveraging transparent and accountable operation of government. “Citizens should monitor all tiers of governments for maintaining good governance in the country. An informed citizenry could only make the government and parliament responsible and answerable”. Also sharing his experience on open government, CPN leader and lawmaker Yogesh Bhattarai insisted on joining the global movement as the donors also have sought higher commitment for transparency and accountability while providing aid. Chief Information Commissioner Krishna Hari Baskota and Freedom Forum Executive Chief Taranath Dahal made separate presentations on open government and open parliament, respectively. It was shared that Nepal has already met the required eligibility criteria on fiscal transparency, access to information, asset disclosure and citizen engagement to be the part of OGP. It advocates a government which is committed to providing opportunities for citizen engagement in public affairs, and building the trust between the state and its citizens so essential to ensuring the sustainability of its democratic reforms. 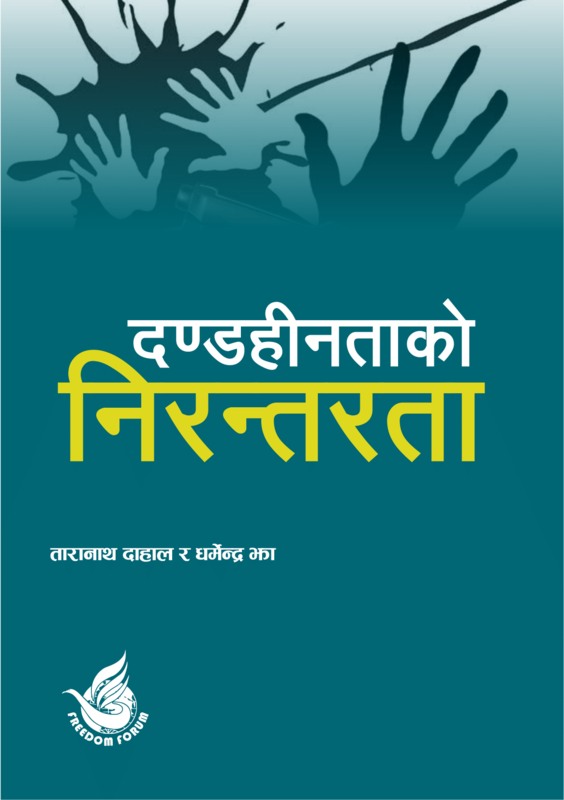 The OGP, with its mission of securing concrete commitments from governments to increase accountability and responsiveness to citizens’ needs, can be an important platform in Nepal for realizing the elevated level of interaction needed between civil society and government in order to build the trust needed for achieving 2030 Agenda of Sustainable Development and pursuing a common agenda for change. Also speaking on the occasion were lawmakers Bimala Rai Poudel, Bijaya Subba, Satya Pahadi, Metmani Chaudhary, Binda Devi Rana and Ramesh Poudel, former Chief Secretary of Nepal government Dr Somlal Subedi, and OGP advocates Haribinod Adhikari, Madhukar Adhikari, Dila Pant, Krishna Sapkota and Narayan Adhikari.